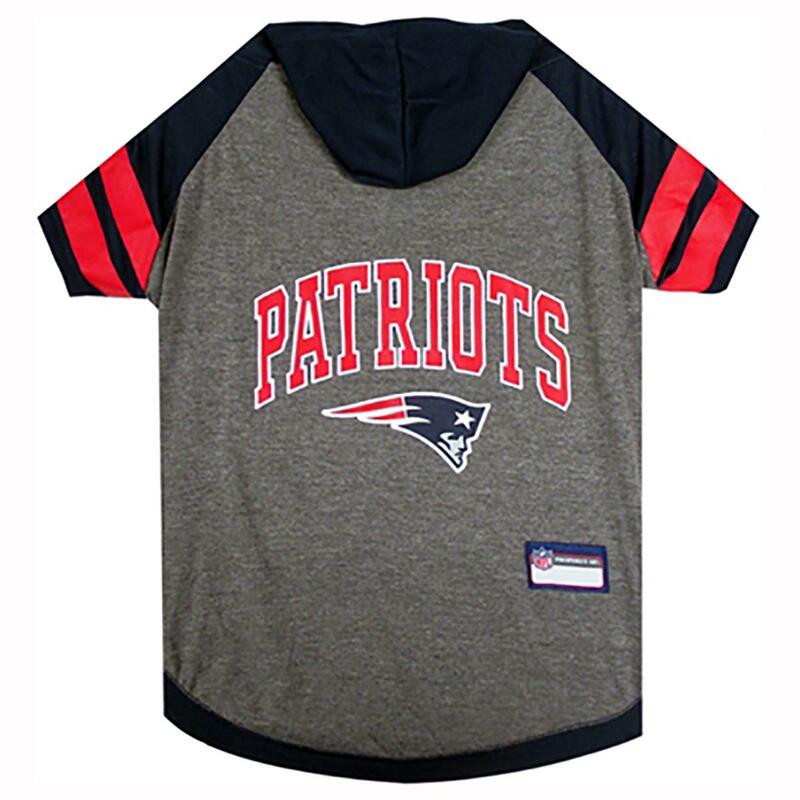 Take your dog out to the gridiron for some fun in this officially licensed New England Patriots Hooded Dog T-Shirt! Posted On 01/14/17 by Stacey G from East Rockaway, NY Yes, Stacey G recommends this product! Love this shirt! 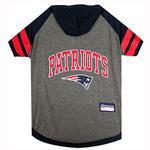 The medium fit my Jack Russell terrier perfectly! Great quality. Very happy with my purchase! Posted On 12/30/16 by Jeannine L from Pensacola, FL Yes, Jeannine L recommends this product! Bought this shirt for my 24lb cocker spaniel and went by the size chart that was on the website. Received the shirt and although it fits him, I think its too tight on him and its not long enough on his back. I wish I had ordered a size bigger.